If this is your first visit to CwHD, a brief introduction is available. Just click on the CwHD Intro link in the sidebar. To return, simply click the Home link. Older editions are archived and listed by date. 'Mick Ryan's Lament' is the name of a song written by Robert Emmet Dunlap, a Boston born, but well traveled singer songwriter. The core of the song is based on a west Ireland drinking tune that emerged in the late 18th century called 'Garryowen.' Many ironies surround both songs. Young rich men of Limerick, Ireland, adopted the tune as they drank and sang their way from pub to pub and party to party. Poor Irish emigrants in New York City also clung to the ballad and adopted it as their regimental marching song after forming a local militia. Beethoven wrote two arrangements of the song and General George Armstrong Custer selected Garryowen as the 7th Cavalry's marching tune. The garryowen haunted the wars in Korea, Viet Nam, and Iraq to name just a few. 'Mick Ryan's Lament,' of course, is a sad commentary on the folly of our specie's incessant drive to acquire and conquer. The word garryowen comes from an Irish phrase Eóin garrai. 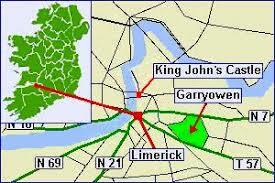 Eóin is the proper name 'John' and garrai is the Irish for 'garden' which gives a translation of 'John's garden.' The old river town of Limerick, located on the Shannon River near the river's extensive estuary, has a neighborhood named Garryowen. The place name was derived from a 12th century church, St John's, and the adjacent fields and pastures. 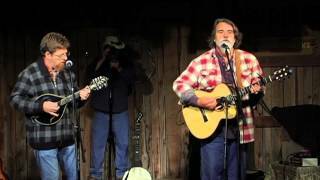 Of the many covers of Dunlap's song, bluegrass legend Tim O'Brien has hit the right tempo and phrasing to convey the song's message; and his duet with Darrell Scott is included below. The Garryowen itself was an uptempo number with a defined insouciance which created its appeal to soldiers, rugby clubs, and rowdies generally. Dunlap slowed the tempo and created his own lyric, and the song turned inside out with the roisterous hubris becoming a melancholy despair.